Tesco has apologised over punctuation and spelling mistakes that appeared on its babywear, which saw items carry the slogans "I was born awsome" and "Daddys little man". The gaffes, one of which omitted an 'e' and the other an apostrophe, were brought to the attention of the supermarket by the parents of three-month-old Alexander Kendall, whose father posted the mistakes on Twitter. 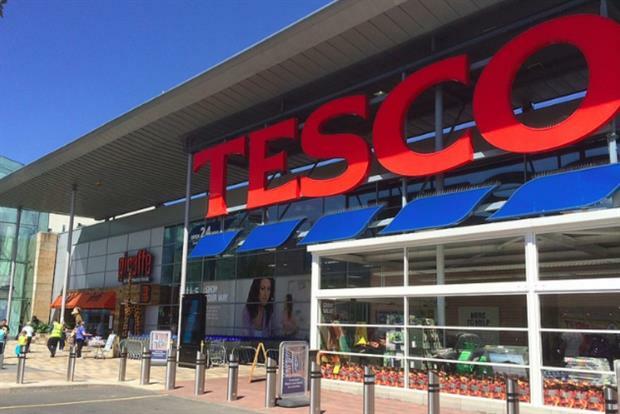 Tesco said it had made its suppliers aware of the situation, "so it can be corrected for future stock". Patak’s has reverted to an old recipe for its lime pickle after consumers were less than impressed with a new and ‘improved’ version. The food brand, which specialises in Indian sauces and pickles, was reacting to a social media outcry after its new lime pickle recipe went on sale last year. Descriptions of the new recipe, which contained less oil and more lime, ranged from "yuk" to "foul". Around 250 people contacted Patak’s by email and social media, while comments appeared on Amazon, where its products are sold. Patak’s is owned by Associated British Foods, which bought the company from the Pathak family in 2007 for more than £100m. The Government has said that a tax on sugary drinks and foods is "not off the table", according to comments made by health secretary Jeremy Hunt. Hunt was speaking on the BBC’s Andrew Marr Show, when he said: "David Cameron has said that if it isn't a sugar tax then it needs to be something equally robust, but he has not taken a sugar tax off the table." Later this month, the Government is expected to publish a long-awaited child obesity strategy. Arguments for a sugar tax have been made by health experts and government advisory body Public Health England. Hunt told Andrew Marr how the Government was likely to tackle obesity. He said: "Partly it's what food manufacturers do and that's why you have discussion about taxes on drinks. It's also what the retailers do, it's what schools do, it's what parents do."